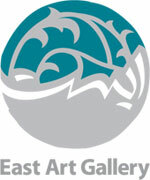 East Art Gallery is an independent art gallery that exhibits and presents contemporary art and artists within a progressive curatorial framework, founded in October 2010. Its mission is to provide a platform for new approaches to visual art production, curatorial discourse, theoretical frameworks and critical thinking, and is dedicated to the presentation, interpretation, documentation, promotion, and enrichment of the arts through culturally diverse artists. Its programme is comprised of curatorial based projects, and it facilitate an annual international artist residency progamme providing artists with the opportunity to form a trans-cultural dialogue between the artist and the general public in Iran. East Art Gallery values interdisciplinary art practices, emerging and established artists, risk-taking and experimental work, meta-curatorial strategies, discussions, collaboration, and cultural exchanges.